Like most big events, weddings are consumer-driven affairs that often employ single-use products and can leave a significant environmental footprint. 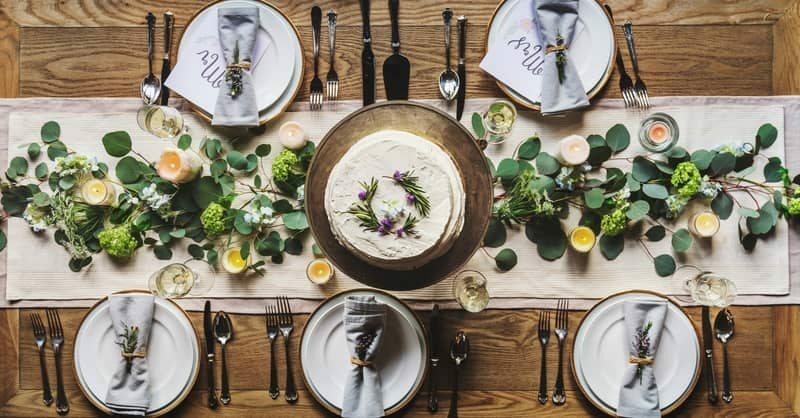 Fortunately, the rise of eco-wedding planning means that there are more and more options available for loved-up couples who are keen to say “I do” both to spending their lives with one another and to protecting the planet. Explore seven of our favourite sustainable wedding tips. Energy consumption during a wedding can be all but eradicated by choosing to host a wedding outdoors and during the day. Australia has no shortage of stunning beaches, parks, botanical gardens and sunshine that can provide a picturesque – and sustainable – setting for a special event. 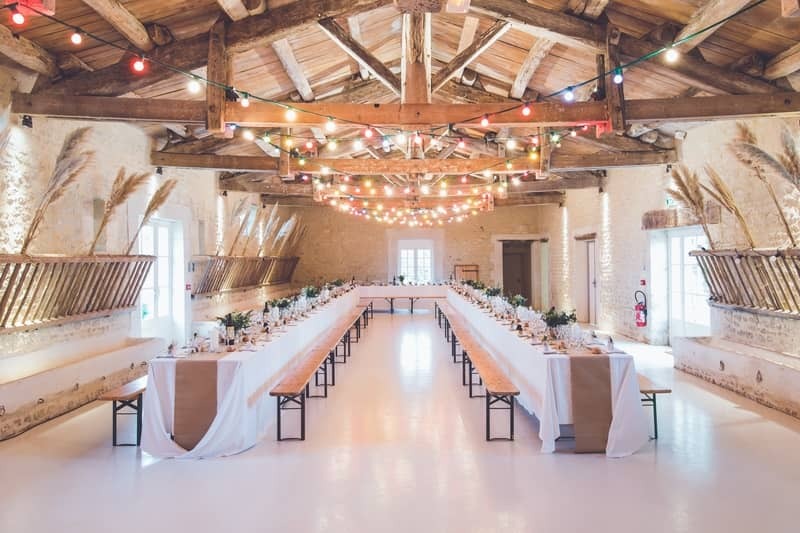 If you’re not prepared to risk the great outdoors then research venues that have robust environmental policies in place and keep the location close to the majority of your guests to minimise the amount of travel required. Weddings are remembered for the love that’s shared on the day and the terrible dancing, not by the various knick-knacks that guests get to take home with them. 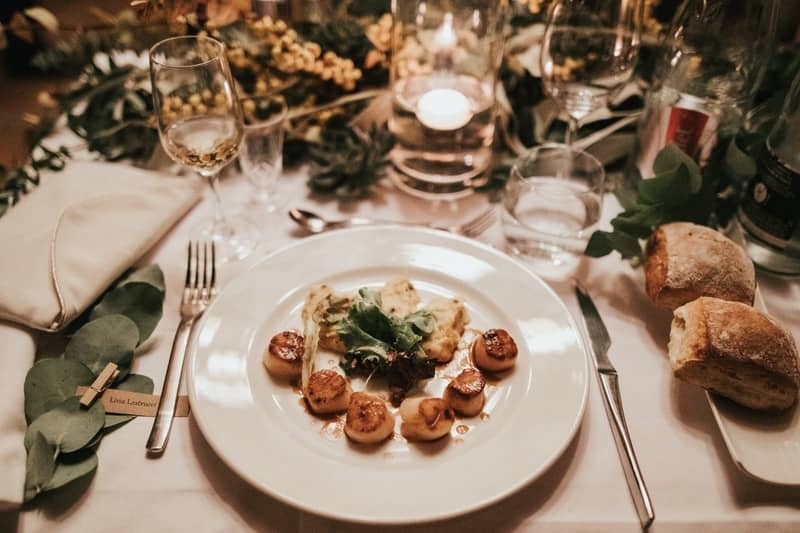 If you can’t bring yourself to do without favours for your guests entirely, why not choose something small and edible or, better yet, something green? 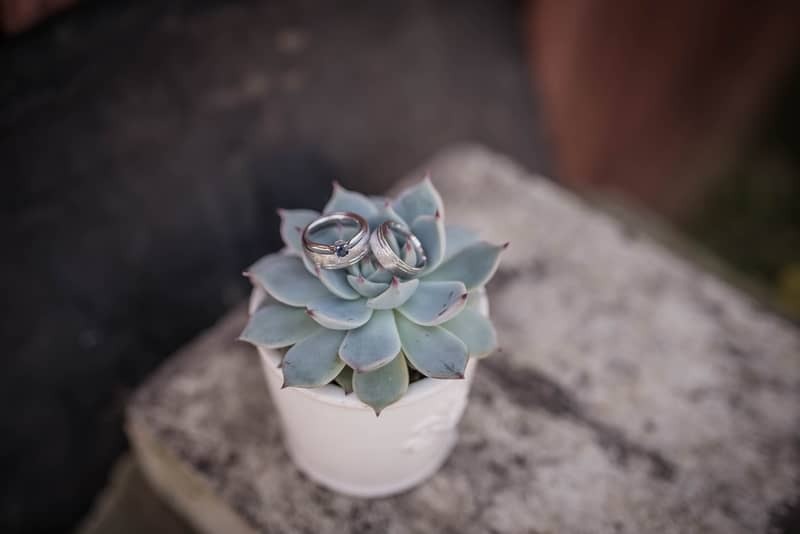 A small succulent or herb pot would go down a treat with most attendees, and would create a lasting, living reminder of your special day. Alternatively, take the money that you would have spent on favours and advise the guests that you’ll be making a donation to an environmental charity on their behalf. Leftover food accounts for a great deal of wedding wastage. 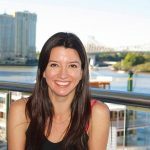 Find a venue that deals with OzHarvest for over-supply or one that permits you to cater off menu rather than per person (per person finger food packages almost always over-cater). If you are hiring a caterer, try to find one that sources in-season, locally grown products and choose organic where possible. If you are going to spend the rest of your life wearing a very expensive ring, then it is worth taking the time to find a knowledgeable jeweller and ask some pertinent questions first. Are the diamonds ethically sourced and from a conflict-free area? Are the metals local or, if not, have they come from a free-trade supported community? Was the gem sent overseas to be cut then sent back to Australia for setting? 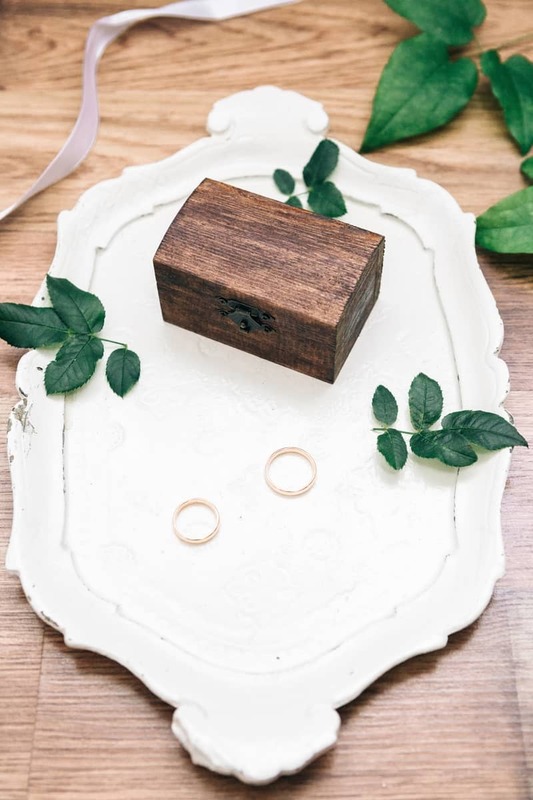 Also, as exciting as a new ring might sound, it might also be worth checking to see if you have any sentimental family pieces that can be re-purposed into your own design. There are companies that supply biodegradable serving ware and utensils that can go straight to compost. Of course, reducing is better than recycling, so look for alternatives where possible and ask yourself if those paper decorations and invitations are really necessary, or if an alternative re-usable table centrepiece and an e-invite could do just as well. If you can’t bear the informality of sending out wedding invitations via email then there are plenty of suppliers who can provide recycled paper invitations and envelopes. There are many things to consider aside from type, colour and quantity of the flowers at a wedding. Are the flowers grown locally, and without the use of chemicals? Are they in season? How long have they been refrigerated for? Do as much research on sustainable bloom options as you can may get surprising results. As an alternative to cut flowers, potted blooms work just as well as centrepieces and, if you hire them, they can be re-used. Alternatively, forget about bought flowers altogether and walk down the aisle with a silk ribbon bouquet or a hand-picked arrangement from your own backyard, and decorate tables with soy candle arrangements or glass lolly jars instead. 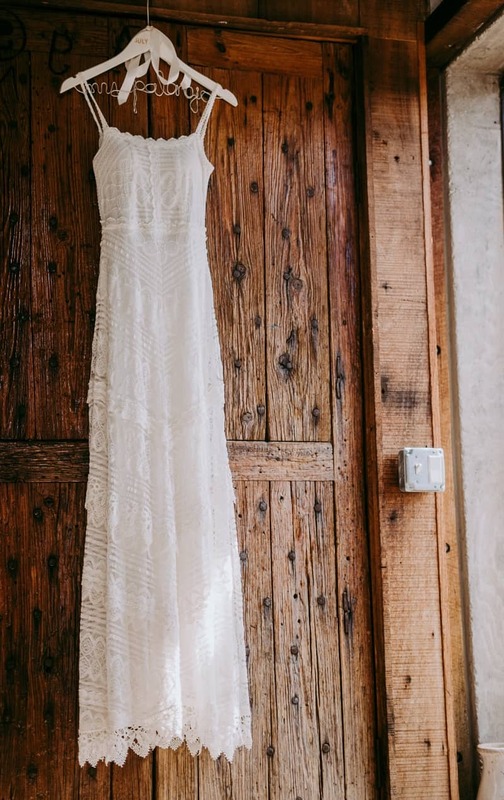 Chances are you’re only going to wear your wedding dress once, so choosing organic cotton or linen over a more traditional dress fabric, as well as finding a designer who utilises a zero waste cutting technique, will help soften the environmental blow. Same goes for shoes. Obviously a second hand vintage gown or re-worked hand-me-down would reduce impact significantly, while makeup artists who use natural, cruelty-free, organic or vegan beauty products are fortunately becoming more common.